Home » Painter A.Y. 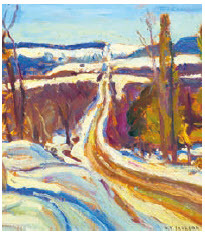 Jackson, of Group of Seven fame, lived in Manotick for the last couple of decades of his life. The A.Y. Jackson Trail documents his painting sites.